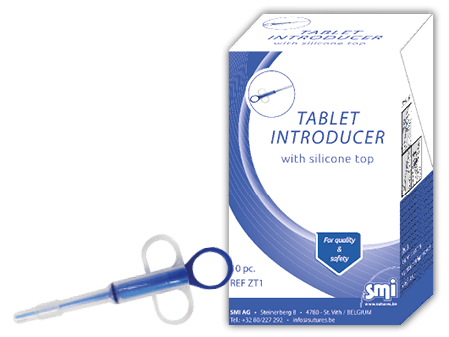 The SMI Tablet Introducer with a smart design and a soft rubber tip makes it easier to administer a tablet without causing damaging the mouth. The SMI Tablet Introducer is a fast and easy way of administering tablets to cats and dogs. The Box can be converted into a smart display supplied with 10 units.